Coach Patrick was a referee at the UT-Dallas qualifier on Dec 6, and he started taking photos of Reverse Engineering models that were especially nice or interesting. 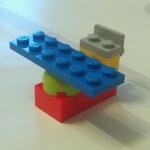 We’re now creating a gallery of reverse engineering models. If you’d like to add your model to our gallery, just send a photo to pmichaud@pobox.com . Unfortunately Patrick didn’t record the team numbers for the airplane and duck models; if you recognize this as yours and would like credit, please let us know. 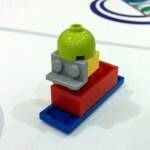 This entry was posted in northtexasfll on 2014/12/08 by pmichaud.